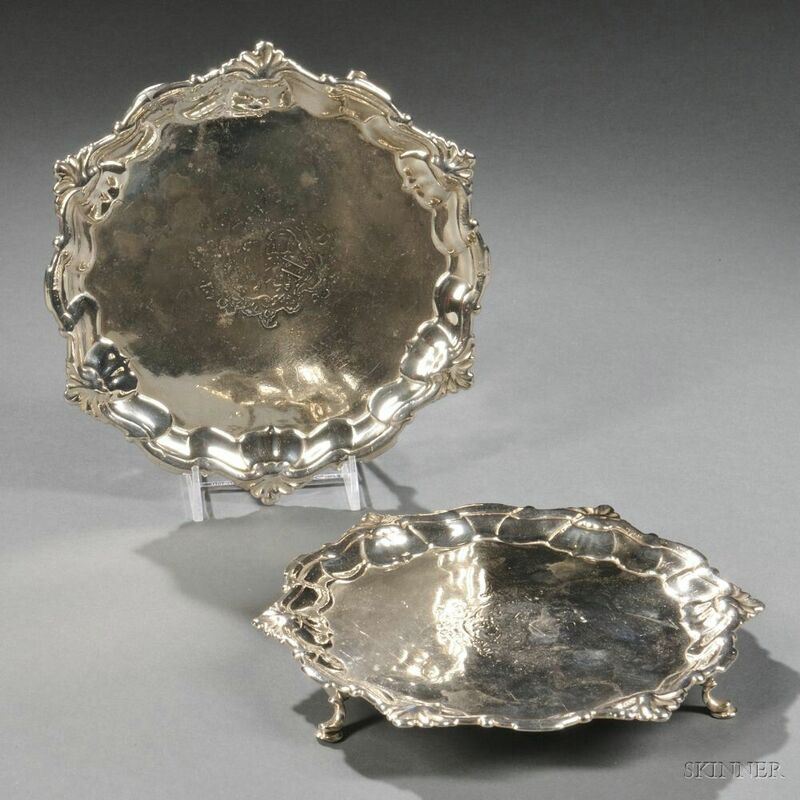 Two George II Sterling Silver Card Trays, London, 1747-48, Hugh Mills, maker, each with a shell and scroll border, engraved armorial to center, and monogram to reverse, raised on three spade feet, dia. 7 5/8 in., approx. 15.5 troy oz. Numerous solder marks and repairs to rims. Feet probably repaired or replaced. Armorials likely original. Age-typical wear and surface abrasions.